When I was living in Portland, we had a windstorm one winter that broke a large branch off my neighbor’s tree punching a hole in their roof. Their insurance company paid for the roof to be repaired, but did not cover to take the rest of the tree down, so my neighbor had to pay out of pocket. Not having a lot of money, they ended up hiring the lowest bidder. This bidder I’m sure was not a licensed tree arborist, and I doubt they carried any insurance. 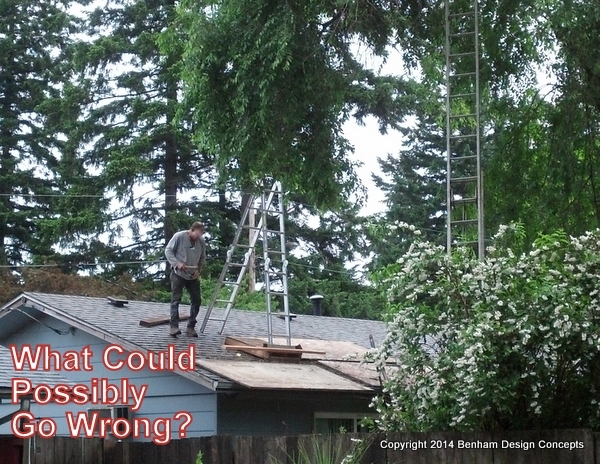 Looking at the picture, I can sarcastically say, “What could possibly go wrong”. It is important when hiring a contractor of any kind to do work on you house to ask them to provide proof of insurance, especially, worker’s comp insurance. If something would have gone wrong and an employee was hurt they could not only sew their employer, they can sew you. You could be on the hook for their medical bills, not to mention the cost of any further damage done to your property. Don’t feel shy about asking for proof of insurance. If they are a reputable contractor and have been around the block a few times they will be prepared to have their insurance company send you a copy of their proof of insurance, or have a copy on hand when presenting the bid. Of course references and examples of their past work is a great idea when hiring a contractor as well. 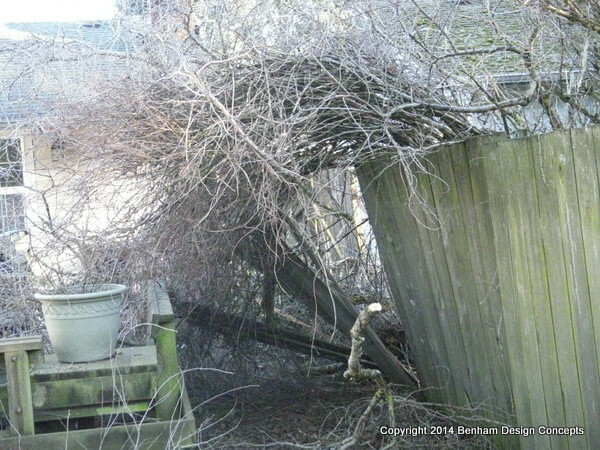 It took them a few days to get the tree down, and luckily it came down without incident except crushing the fence between our properties. They did kind-of fix the fence, by replacing the broken boards, standing the rest of it back up and tied it to a smaller tree in their backyard to keep if from falling over. I guess that is the quality of workmanship you get when hiring the lowest bidder. Luckily, shortly, after that incident I moved so I would not have to deal with the fence after their rope rotted in the weather. The lowest bid is hardly never the best. When you try to save money on home renovation, you usually spend more.